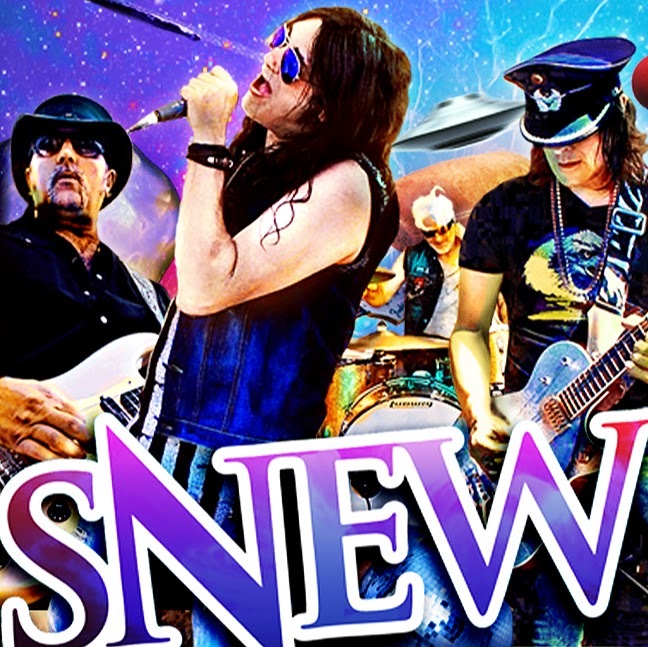 Snew has just released their highly anticipated new single called “The Juice Of Power.” To catch up on the band, please check out our Ultimate SNEW Review and Interview With SNEW Vocalist Curtis Don Vito. This is their first single since 2014’s “Thunderdog.” Their main focus has been touring recently – headlining 2015’s Snewfest in Albuquerque, NM. A cryptic video was released to hype the single release by Snew frontman Curtis Don Vito titled “You are the lion, You have the juice.” It appears to have been filmed in a desert while Don Vito recites motivational phrases about the “Lion” and “Juice.” The single’s artwork is of a scowling lion wearing Steampunk sunglasses – or “lenses of perception” as mentioned in the aforementioned Don Vito video. “The Juice Of Power” has all of the elements that someone would want in a hard rocking song. Hopefully, this is a sign that Snew will be hitting the studio and creating more new music soon. Snew’s past three records are some of the best albums in this genre. There is a need for another complete album by Snew, because one single a year isn’t going to cut it for all of their fans.